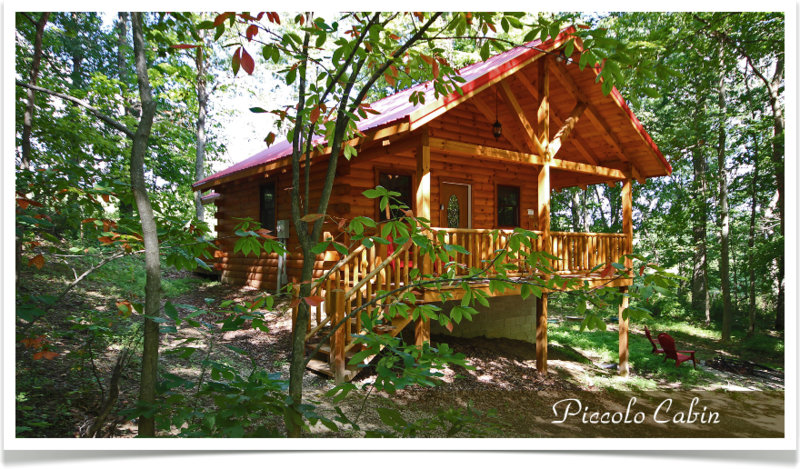 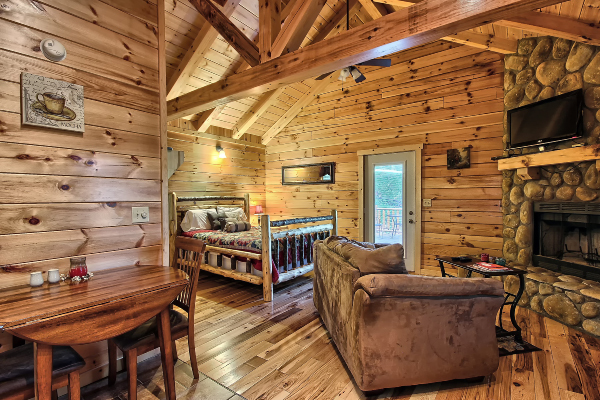 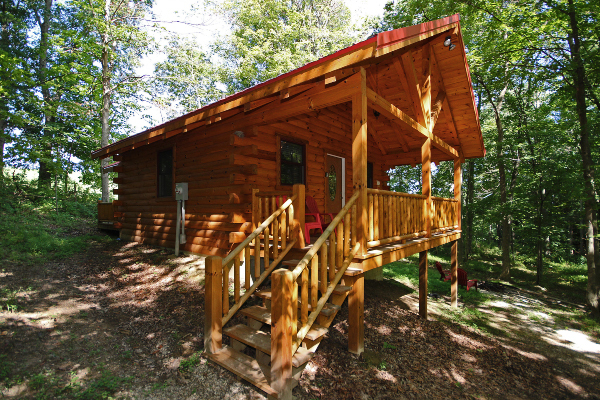 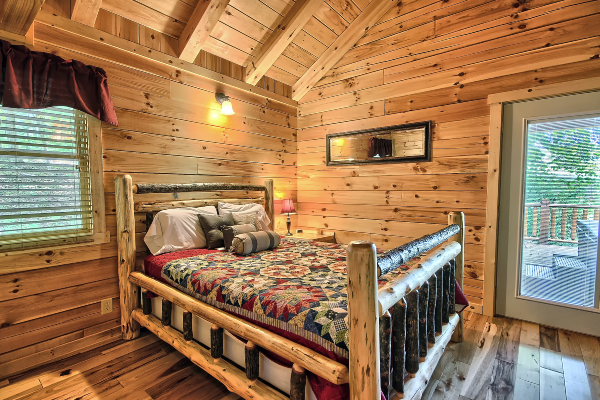 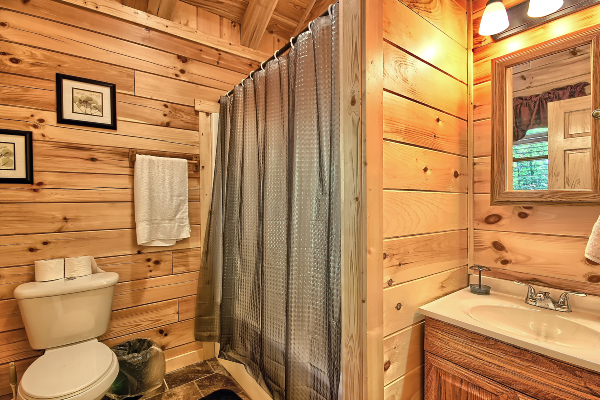 Piccolo is an Italian word meaning "Little One" This is a very fitting description for this cozy cabin, perfect for couples looking to get away. 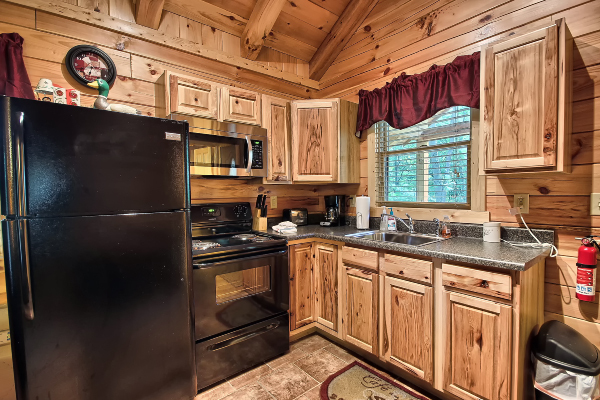 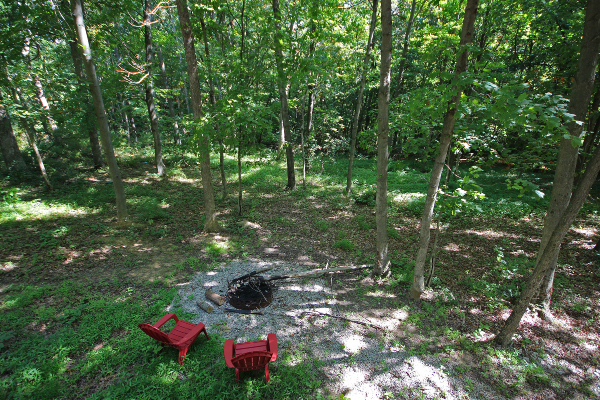 Piccolo is located on 10 beautiful acres of wooded land. 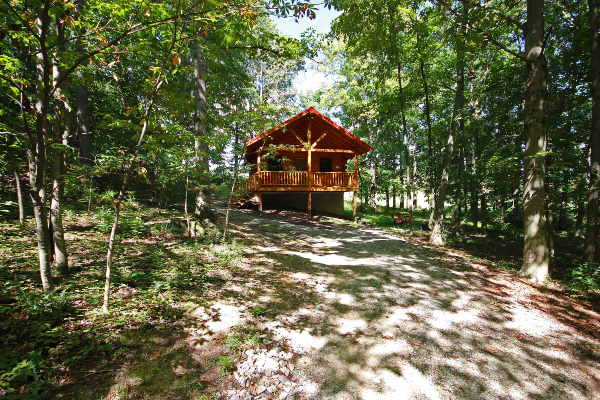 The location is ideal, offering privacy and seclusion and yet only 1 mile off US Route 33. 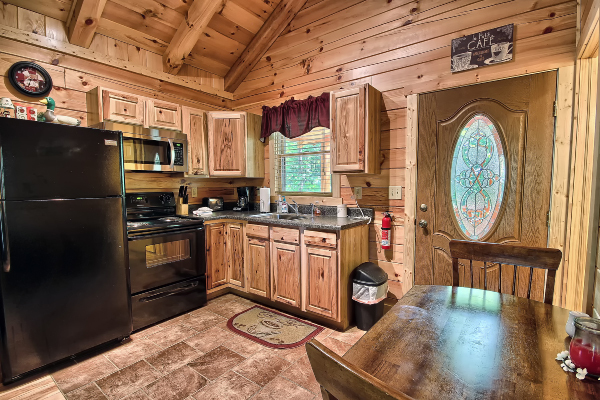 To further add to the appeal of this unique location, the Brass Ring Golf Course and Restaurant are located a 1/2 mile from your cabin door. 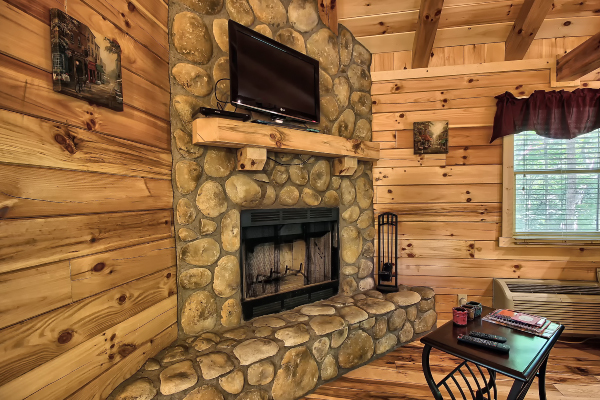 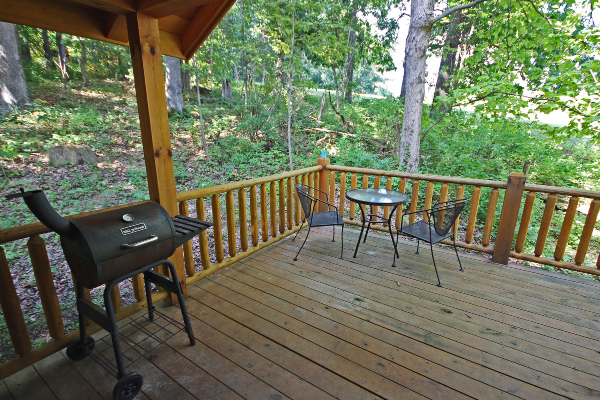 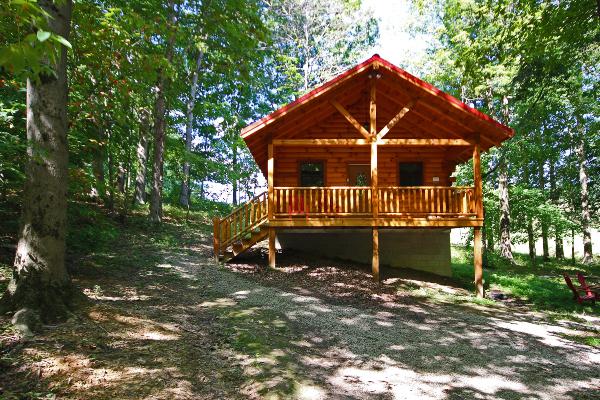 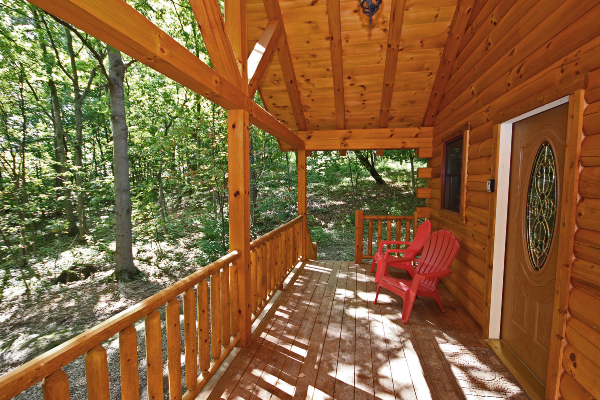 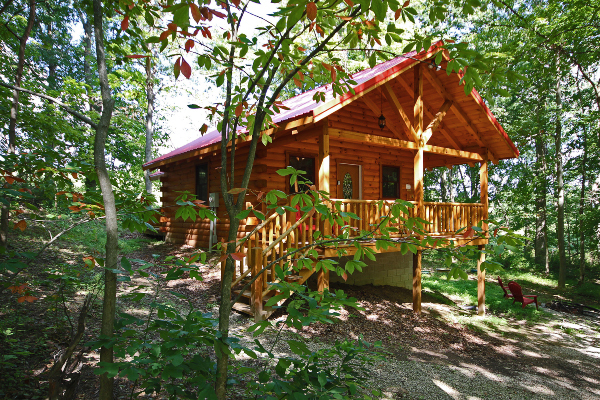 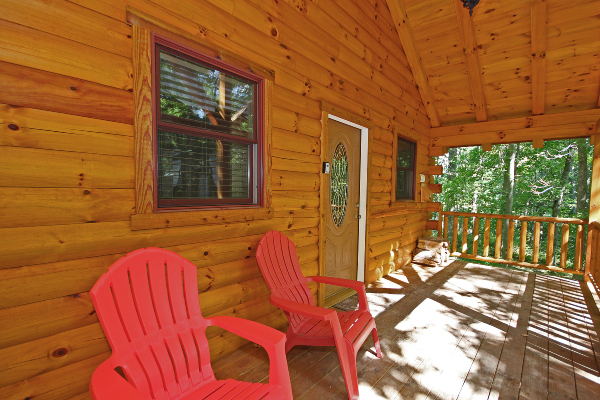 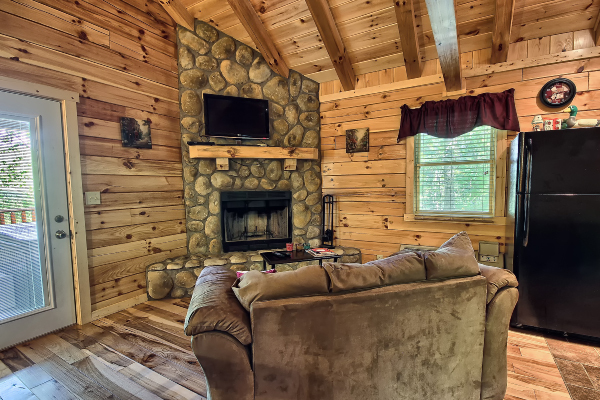 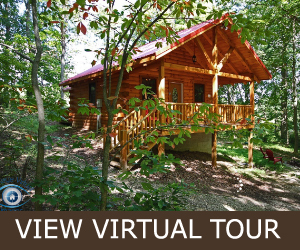 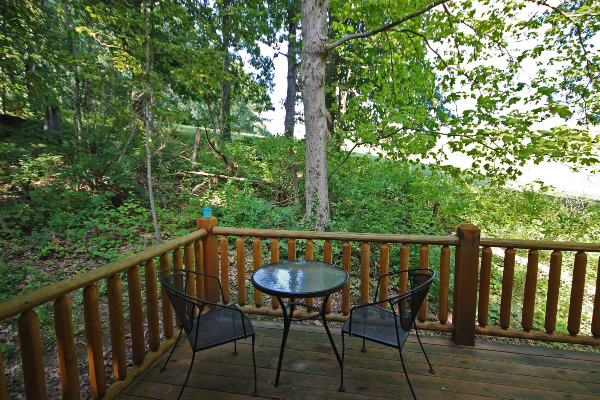 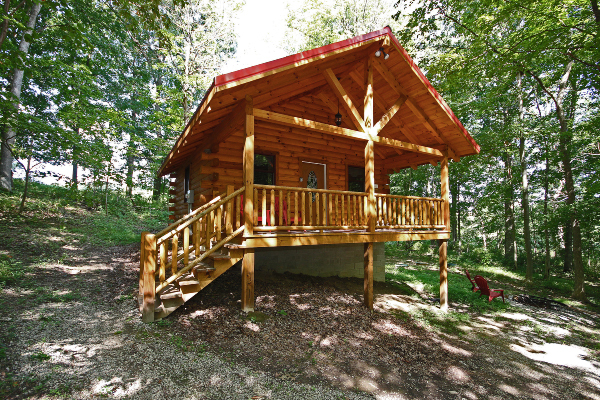 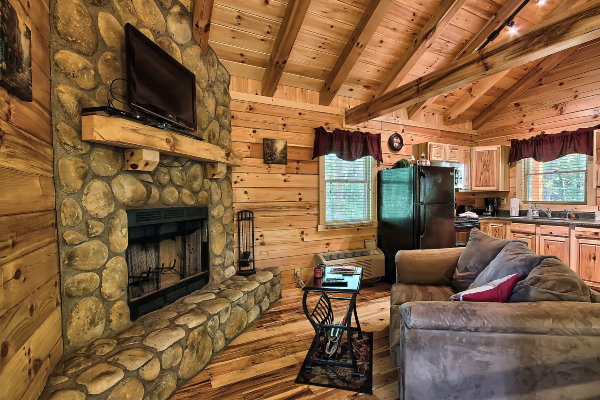 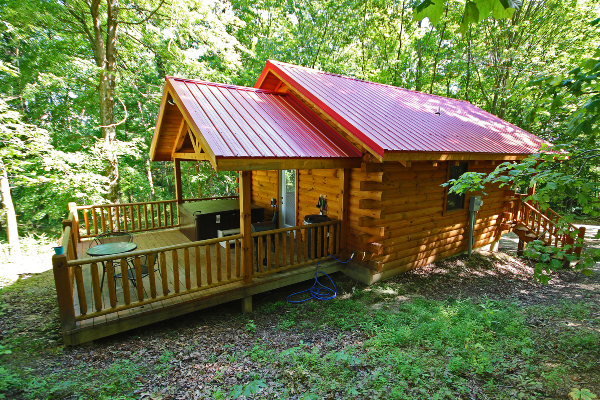 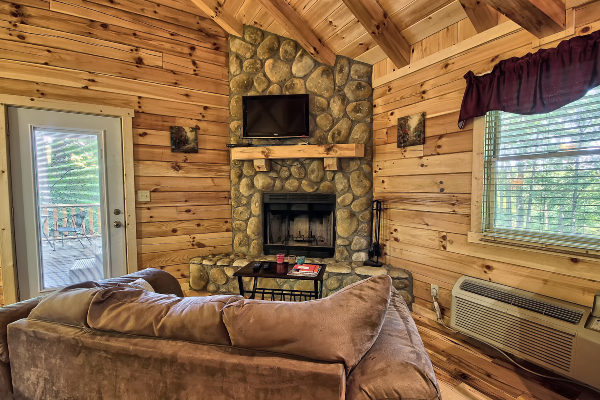 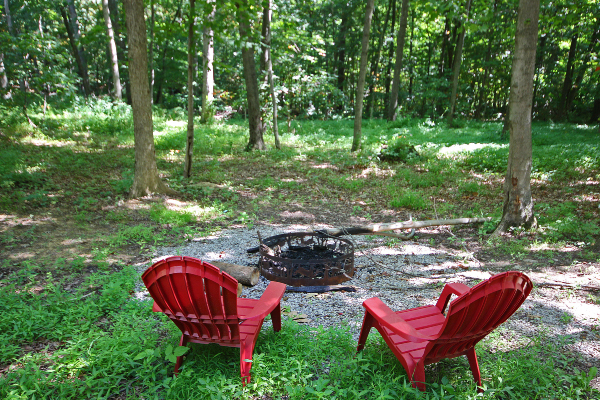 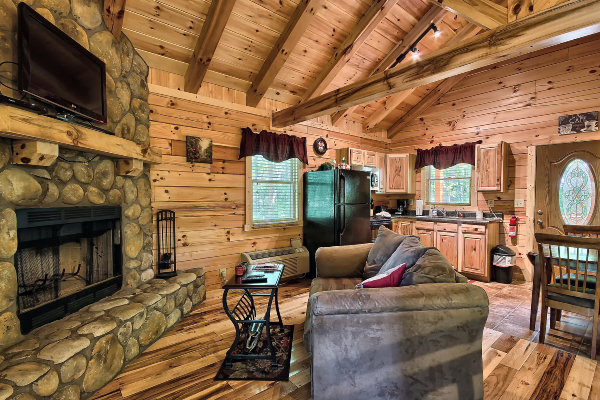 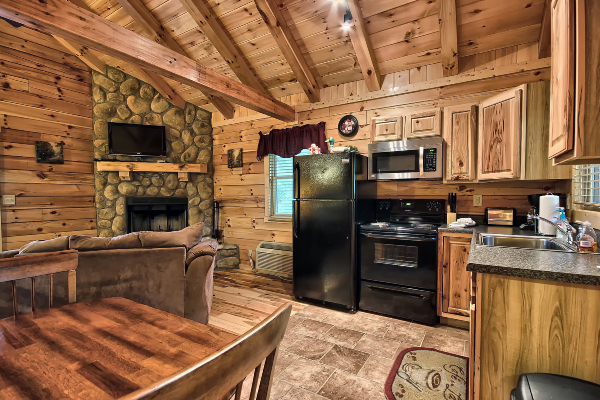 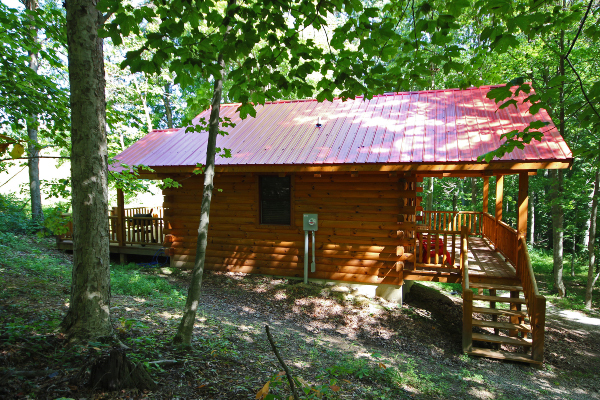 So whether you wish to relax in front of the fireplace, sit around a campfire, take a short hike to the Hocking River at the edge of the cabin property, play a round of golf or visit the many nearby state parks and attractions, Piccolo is the perfect spot for it all. 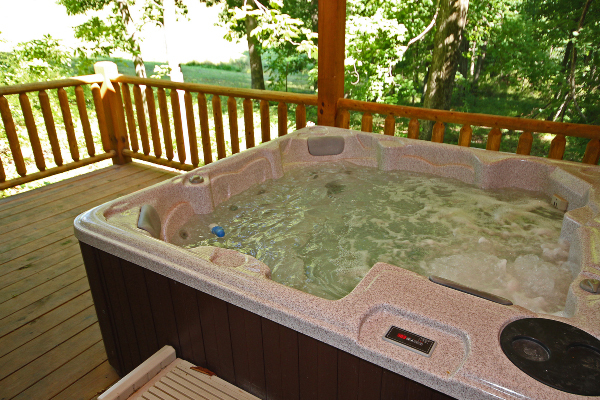 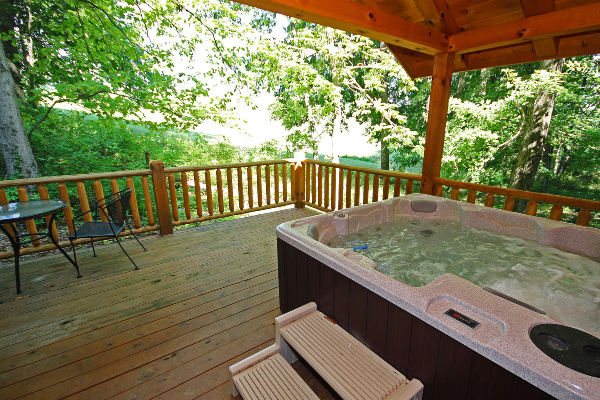 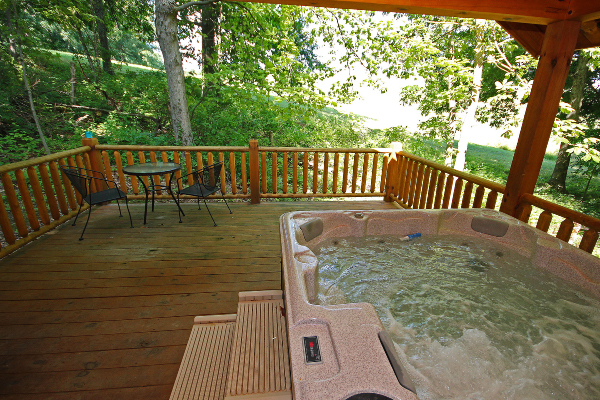 • Enjoy the hot tub on the deck built for 2!